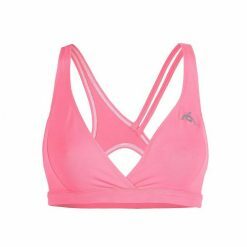 Guaraú crop-sports bra is a charming, modern, and a very comfortable model. It features unique prints on its sleeves, in mesh, and then you have all solid color. 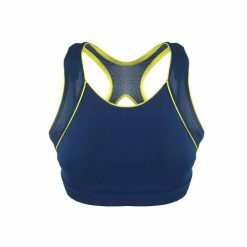 Guaraú crop-sports bra is a charming, modern, and a very comfortable model. 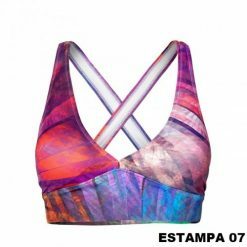 It features unique prints on its sleeves, in mesh (polyester), and then you have all solid color (polyamide / elastane). 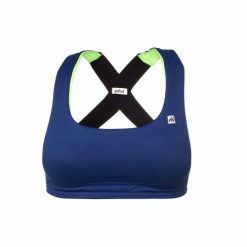 The lower part uses elastic to hold the crop and provide greater safety for sport activity. It is advisable to have it on low and medium impact sports such as yoga, hiking, Pilates, fitness, and others. One smart suggestion is to ware it with Saquarema legging, which has the same mesh prints as its sleeves.